Poet Liu Xia has not been in touch with anyone since about a day before her husband's death and has been "held incommunicado in an unknown location by the Chinese authorities", her US-based lawyer said. Jared Genser's comments came in a statement to the UN Working Group on Enforced or Involuntary Disappearances. Mr Liu died of liver cancer last month. He was the first Nobel Peace Prize laureate to die in custody since German pacifist Carl von Ossietzky, who died in Nazi Germany in 1938. In a statement to the AFP news agency, Mr Genser said: "I demand that Chinese authorities immediately provide proof that Liu Xia is alive and allow her unhindered access to her family, friends, counsel, and the international community." He said her whereabouts had been unknown since Mr Liu's funeral on 15 July. 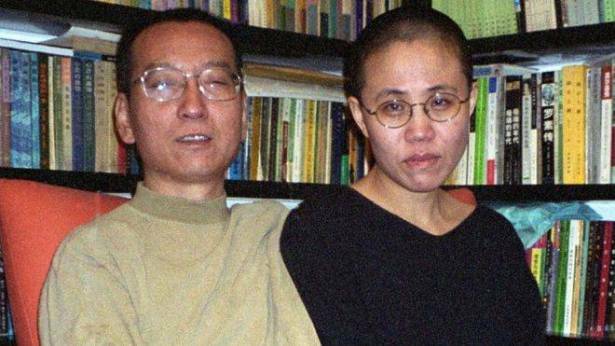 The US, the EU, the UN high commissioner for human rights and Amnesty International have all called on Beijing to free Liu Xia, 56, who has been held under house arrest without charge since her husband won the Nobel prize in 2010. Chinese authorities have insisted she is a free citizen, and that the grief induced by her husband's death has prevented her from getting in touch with friends or her lawyer. The committee that awards the Nobel Peace Prize has said it is "deeply worried" about Liu Xia amid concern about her mental health. She is said to be suffering from depression after spending years under house arrest and heavy surveillance. The Norwegian Nobel Committee has called on the Chinese authorities to "lift all restrictions they have put upon her", adding: "If she wants to leave China, there is no justification for denying her the opportunity to do so." He won the Nobel Peace Prize in 2010 for his "long and non-violent struggle for fundamental human rights in China" but was not permitted to travel to Norway to accept it.